Deserts are classified by their location and dominant weather pattern into several types: trade wind, midlatitude, rain shadow, coastal, monsoon, or polar deserts. Former desert areas presently in nonarid environments are paleodeserts, and extraterrestrial deserts exist on other planets. 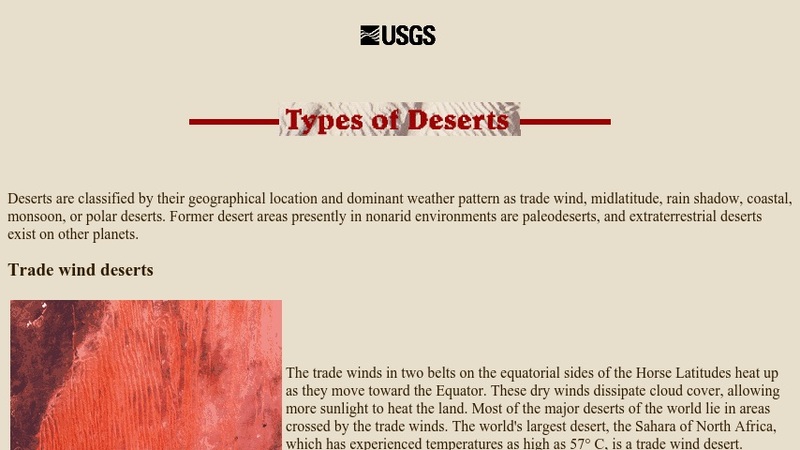 This site, produced by the U.S. Geological Survey, describes each type of desert using text and photographs.